March 8, 2016 Contact Author	Katerina Steventon, Ph.D.
5Hydroquinone: Is the Cure Worse Than the Problem? 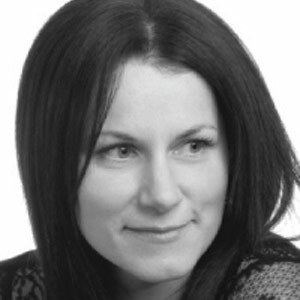 Editor’s note: This new column by skin therapist Katerina Steventon will report on the latest in cosmetic ingredients on a quarterly basis. The gentle skin care trend is continuing into 2016. Soft, comforting textures became more popular last year with new influences and concepts, e.g. cleansing oils coming to Europe from Asia. Also, light sorbet textures in moisturizing replaced more nourishing products and encouraged product layering. Micellar waters shifted the consumer cleansing experience and kept the gentle approach at the forefront of their mind. With more people suffering from damaged skin barrier and sensitivity than ever, gentle skin care is more sought after, thus lessening the quest for mechanical exfoliation and harsh peels. This rings true for consumers with sensitive skin types; however, clinicians need a raft of active ingredients that are gentle, yet capable of brightening dull, dehydrated skin to achieve a healthy radiant look. A wide variety of antioxidants have been reported to benefit skin, but ubiquinone and idebenone have been shown to be the most effective. These molecules protect the skin from oxidative damage caused by UV irradiation and pollution, thereby helping prevent premature aging of the skin. Ubiquinone, also called coenzyme Q10, is a natural lipophilic antioxidant present in the skin. Synthesized by the body and critical for the protection of mitochondrial membranes, it is important for cellular energy production in the skin. CoQ10 diminishes with age and is under the influence of external stress factors in healthy skin. Application of CoQ10 is beneficial, as it helps to replenish this antioxidant on the skin’s surface and in deeper layers of epidermis. In turn, this promotes an increase in cellular energy metabolism and antioxidant effects. Stressed skin benefits from topical CoQ10 by reducing free radical synthesis and increasing antioxidant capacity.1 Although CoQ10 was originally promoted as the key active ingredient by the German Beirsdorf brand Nivea, it is now present in other anti-aging products on the market. Idebenone is also an antioxidant, a synthetic molecule derived from CoQ10. Idebenone has a smaller molecule and theoretically could penetrate the skin readily. The claims about idebenone’s powerful efficacy are based on a study comparing its activity to five other antioxidants, including: ubiquinone, kinetic, alpha lipoic acid, vitamin C and vitamin E.2 Idebenone was found to outperform the other actives in its antioxidant capacity. In another study, however, it showed to be less effective than vitamin C, vitamin E and ferulic acid.3 However, the research was not carried out by an independent group. There are both mass market and spa brands that focus on idebenone as their main active ingredient. After four weeks, 80% of individuals noticed an improvement that was confirmed by expert graders. When burnt, the skin quickly releases phosphorylase kinase, an enzyme responsible for activating inflammatory pathways. This enzyme also plays an important role in photodamaged skin. Curcumin, as a selective inhibitor, can target multiple inflammatory pathways with beneficial effects in many skin diseases. Curcumin gel has been shown to produce rapid healing of burns with little or no residual scarring. It has also been deemed beneficial in the long-term repair of signs of photodamage including: epidermal pigmentary changes, dermal damage of solar elastosis and thinning of the skin with broken capillaries.5 There are a few spa brands on the market that formulate with tumeric extract. These traditional ingredients have been my tried and tested staples for sometime. Larger clinical trials are required for these actives to be adequately tested to generate conclusive clinical insights. Skin care works best as seasonal—better results are delivered with the introduction of different ingredients every three to six months, depending on an individuals skin type. The gentle skin care trend that facilitates augmentation of skin barrier function and promotes healthy skin is here to stay in 2016.